During a week when Margaret Thatcher dominated the scene, I would like to pay tribute to the writer Ruth Prawer Jhabvala who also died recently. I read her novels about India avidly as a teenager; Heat and Dust being a favourite. She was the author of many excellent screenplays for Merchant and Ivory including the screenplays for some of Henry James’ best novels and, possibly best known, for E. M. Forster’s Howard’s End and A Room with A View. She bought colour and the exotic into my world. My father was born in India and lived there as a young child. One piece of his writing I love is his memories of monkeys and parrots playing on his window ledge. It is hard to imagine so much colour and noise in the dormant, reluctant spring we have just experienced. But now at last the world is bursting into life. 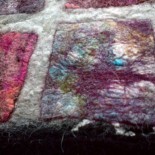 Now that I am not strong enough to make large pieces of felt more than occasionally I like to produce small pieces. I have in my mind’s eye the bright jewelled sari colours of gold, yellow, orange, red, purple and emerald just now. So, I have been looking out for coloured bits to work with. 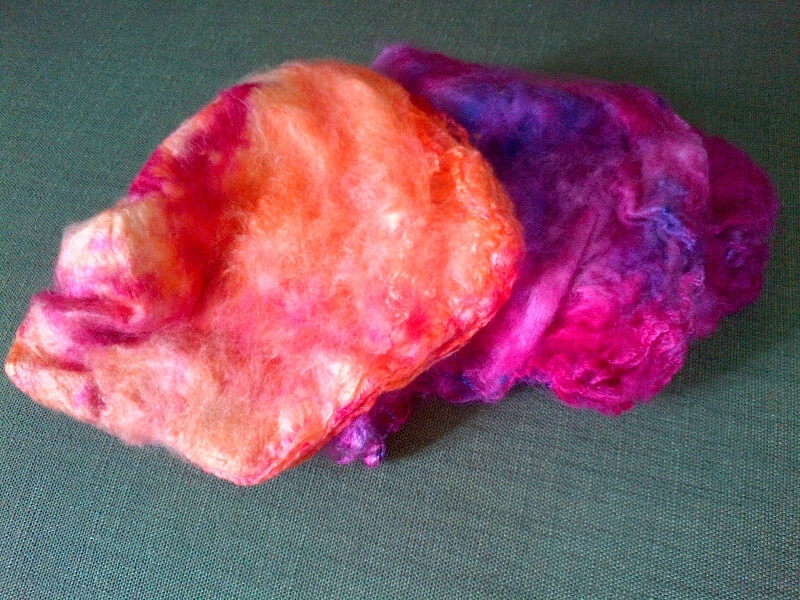 Here are silk hankies in deep purple and tangerine. 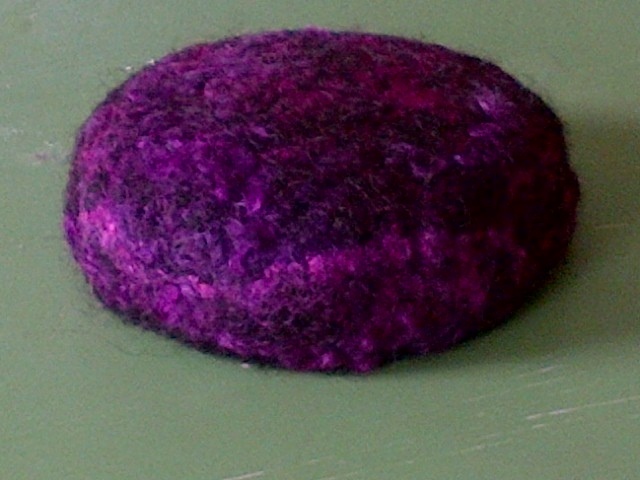 Here are some deep purple hand-dyed wenslydale locks. 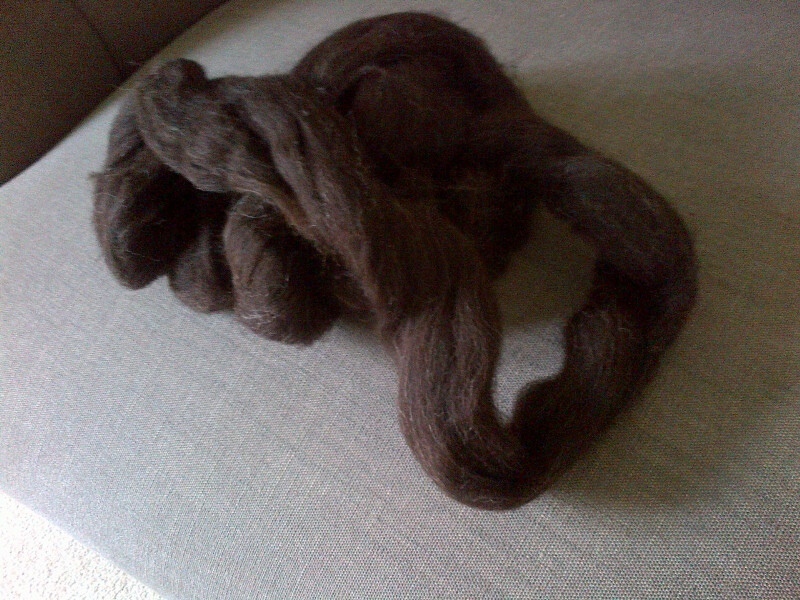 Add in some black / brown Jacob wool tops. I don’t often make containers but this little bowl emerged today. love the wenslydale locks. ..purple is one of my favourite colours ! 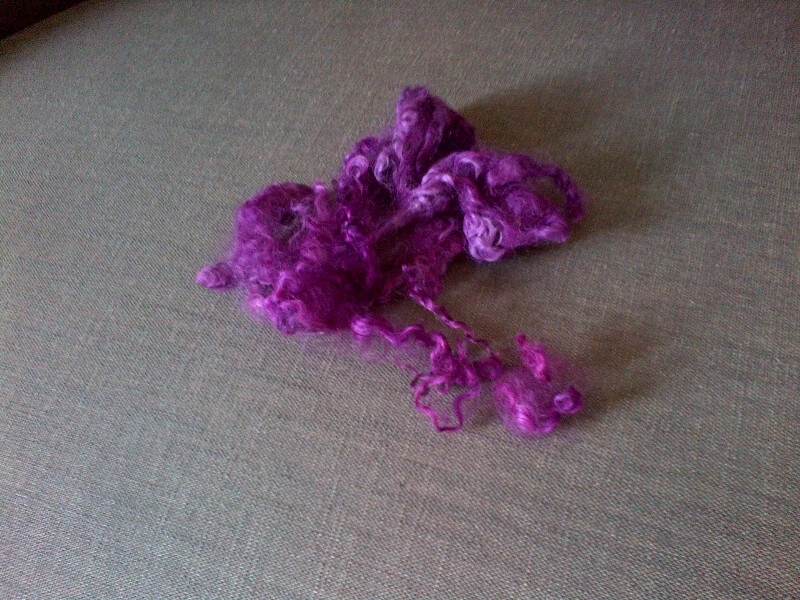 From a delightfully purple ewe? 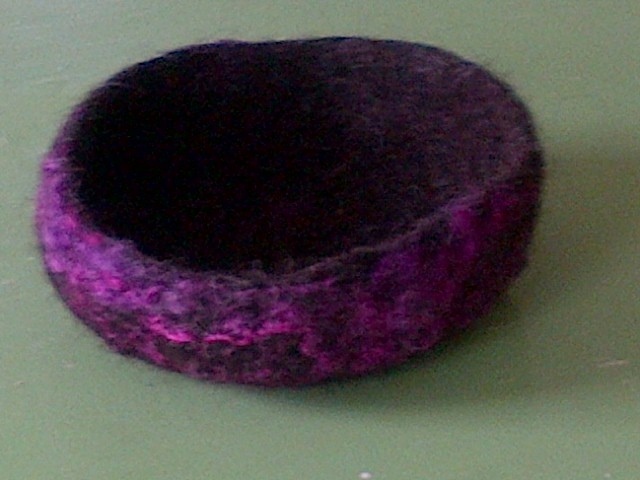 This entry was posted on 18/04/2013 by Themidlandperfumer in arts, arts and crafts, craft, crafts and crafting, creative process, diary, felting, film, nuno, textiles and tagged E. M. Forster, felt, felted container, feltng, Henry James, India, Jacob tops, Merchant and Ivory, Ruth Prawer Jhabvala, silk hankies, Wenslydale locks.